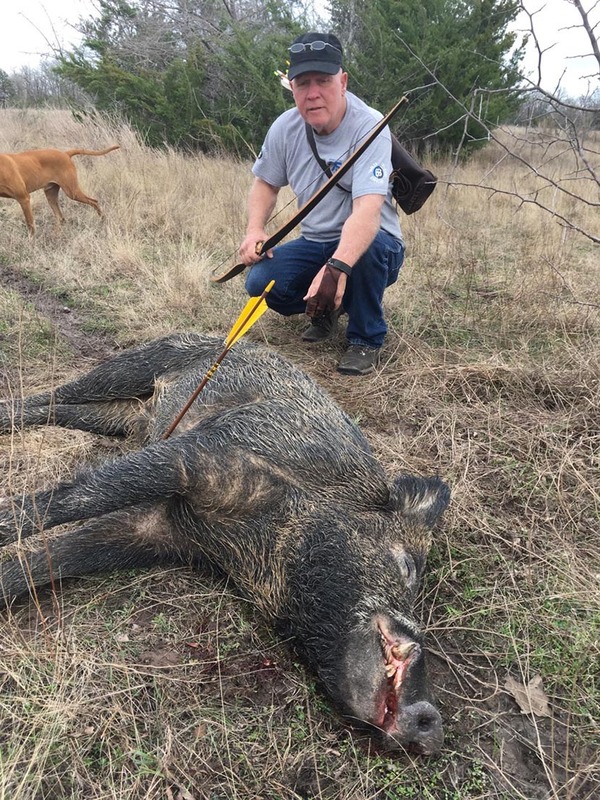 Tommie Avis with two nice hogs. 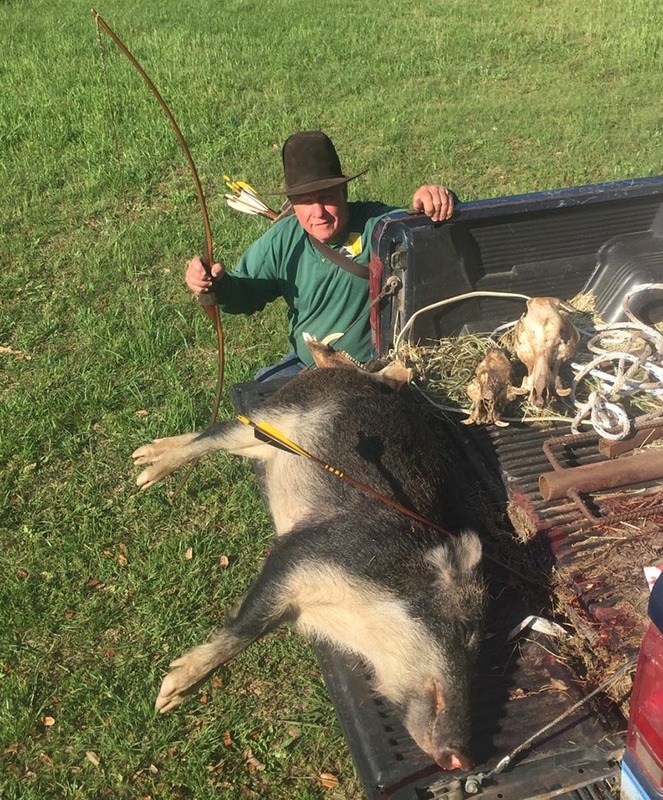 Taken with his Old Hill Longbow. Hogs weighed 325# and 125#. Big Congrats!